Haridwar is also one of the 4 sites that host the Kumbh Mela in rotation. 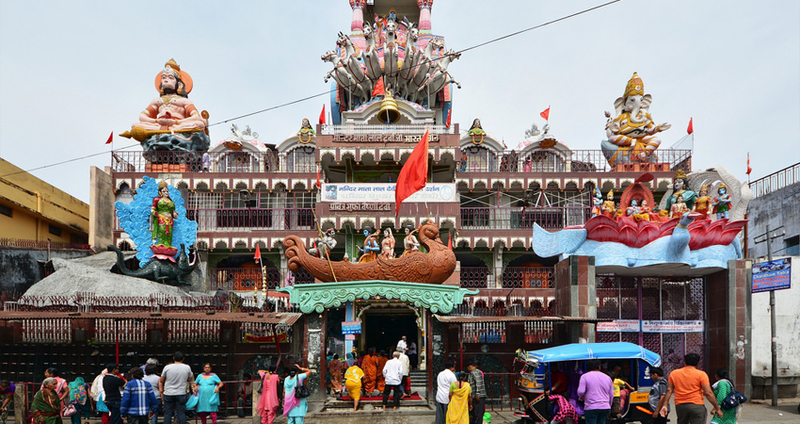 The city of Haridwar positioned in Uttarakhand is a recurrent spot for the Hindu society. It is sited on the banks of the river Ganges. From the very old scriptures of the holy books the place is mentioned quite a number of times. The writings from the texts submit to Haridwar as the spot where nectar fell from the bird also referred to as Garuda. The particular spot is known to as Brahma Kund. 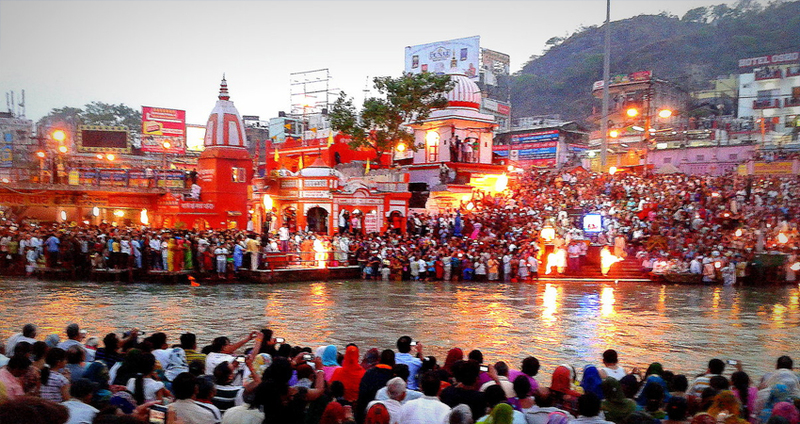 One of the most valued places in the city is Har ki pauri where people take a dip in the waters to rid themselves of any sins to achieve salvation. In the sunset one can catch a glance of diyas floating in the Ganges where people pray for their near and dear ones who have passed on. The climatic situation in Haridwar is beautiful enjoyable all through the year. In fact because of this and the need to catch up on holy discourse lots of tourists and pilgrims crowd the arena. There are many of hotels in Haridwar which have different tariff. Restaurants in the region as well as hotels support the sale of a pure vegetarian meal. When it comes to shopping in the region there are lots of markets that play host to the crowd of constant visitors. Jwalapur is perfect to catch up with mementoes from the site to take back home along with sweets that are just divine. Moti Bazar is one more site to visit for the ardent devotee to grab a couple of idols, puja items, bangles, baskets, rudrakshas, agarbattis, etc. The Government owned handloom emporium offer everything possible for the tourist right from wooden carvings, paintings, sculptures and other items of importance. 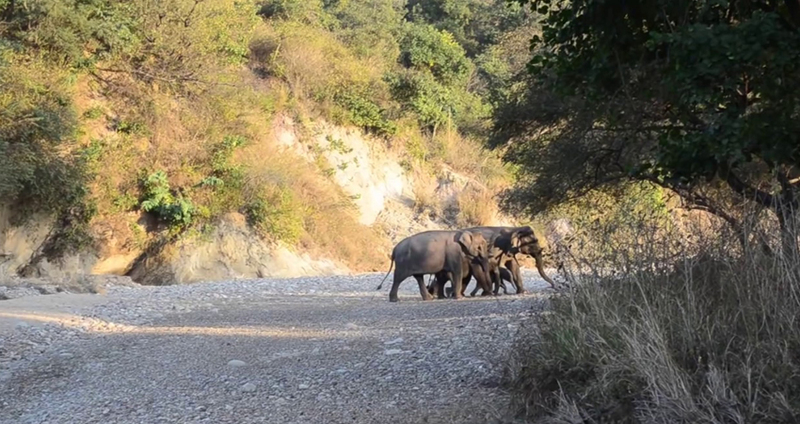 For the wildlife and nature lovers, there's the Rajaji National Park in Haridwar which is home to many varieties of flora and fauna. Spread over an area of 820 sq km, the Rajaji National Park is home to 23 species of mammals and 315 species of birds. Haridwar has been measured the holiest of holies for the Hindu religion. With this in array lots of people from the faith make it a point to visit the hub sometime in their lives. There are lots of temples that one must make a dash to while visiting Haridwar. The Bharat mata temple, Vasihno devi, Chandi devi is a few that always make the cut for the ardent devotee. After arrival at Delhi, met through our representative and transfer to Haridwar. Haridwar is a holy city and municipal board in the Haridwar District of Uttarakhand, India. In Hindi, Haridwar stands for Dwar of Hari or Gateway to God, with 'Hari' meaning god and 'dwar' meaning gate. Haridwar is regarded as one of the seven holiest destinations to Hindus. Twilight Ganga Aarti at Har ki Pauri Ghat. Dinner and overnight stay at Hotel in Haridwar. After breakfast, go on for an outing excursion of Rishikesh, Rishikesh is a holy city for Hindus placed in the foothills of the Himalaya in northern India. Legend states that Lord Rama did self-punishment here for killing Ravana, the demon king of Lanka. It is also known as the doorway to the Himalayas, Rishikesh is the opening point for traveling to the sites that form the Char Dham pilgrimage - Badrinath, Kedarnath, Gangotri and Yamunotri, in Rishikesh visit the ashrams and well-known Ram Jhula and Laxman Jhula. Dinner and overnight stay at Hotel in Haridwar. After breakfast, proceed for Delhi (210 kms/5 hours). 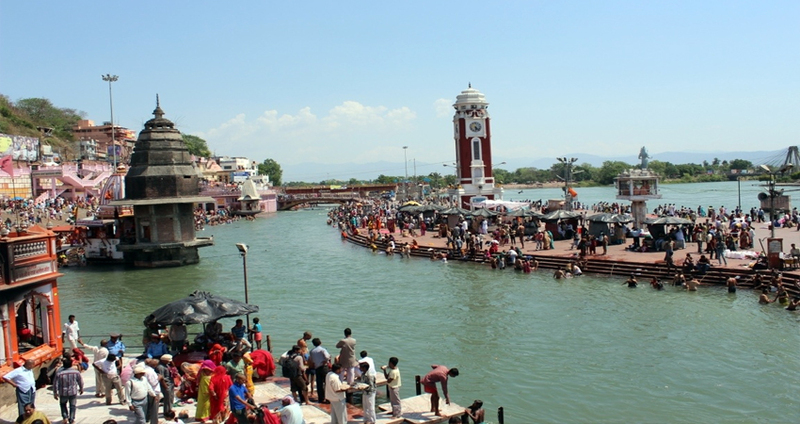 Har Ki Pauri : Har Ki Pauri stands first among the top tourist attractions in Haridwar. It is the site for the famous Kumbh Mela. Large number of devotees comes especially to Haridwar to take a holy dip in the Ganga River at this ghat. The evening aarti offers an enchanting view with the reflection of the diyas that keep floating on the river. Sapt Rishi Ashram : Located at a distance of approximately 5 km from Har ki Pauri, it is the most famous ashram of Haridwar. According to Hindu Mythology, the seven great sages or Sapt-Rishis used to meditate here. It is also said that here the River Ganges split herself into seven streams to not to disturb their meditation. For this reason, this place is also known as the Sapt Sarovar. Bharat Mata Mandir : A unique and one of the most visited places, this temple is dedicated to Bharat Mata by her devoted patriotic nationals. With a height of 180 ft and eight stories, it is also a memorial of all the freedom fighters. 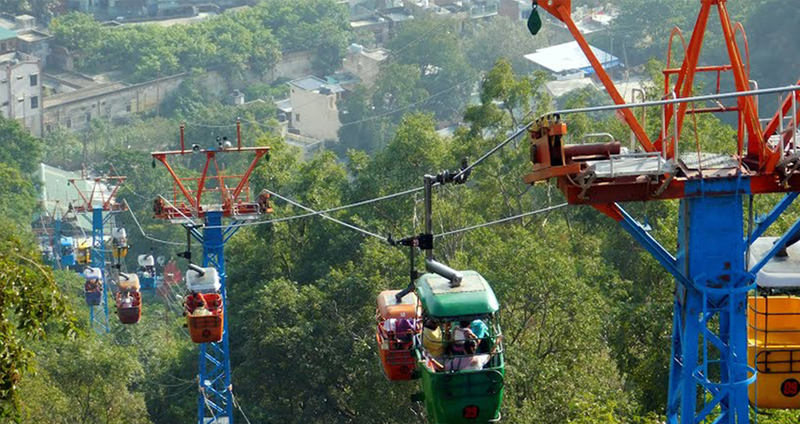 Mansa Devi Udankhatola : It is a ropeway used to reach the Chandi Devi and Mansa Devi Shrines. It offers a faster and easier way to visit the temples and a picturesque view of River Ganges and Haridwar. Neehara Pakshi Viharl D : This Bird Sanctuary is situated on the main Ganges river ( or Neel Dhara) at the Bhimgoda Barrage. Located at a distance of 3.5 km from Haridwar, it is a paradise for bird watchers and home to many migratory birds during the winter season. Haridwar is 214 km left from Delhi and just 28 km left from Rishikesh is one more holy destination of Uttarakhand--and is well linked by rail, air and road. The National Highway 45 passes through Haridwar, and hence, the place is easily reachable from all parts of the state and beyond by road. The nearby airport is at Dehradun. Best time to book Haridwar tour packages is throughout its religious festivals and fairs. Kumbh Mela and Ardh Mela are two most well-known fairs of the region throughout which thousands of devotees, saints and sages head to Haridwar to take religious bath in the river.